Last week, I headed up to Annapolis, MD with my friend Alicia for the Annapolis Running Classic. I had signed up for the Half after a really rough summer without a lot of running and a real need to try to get back into running. 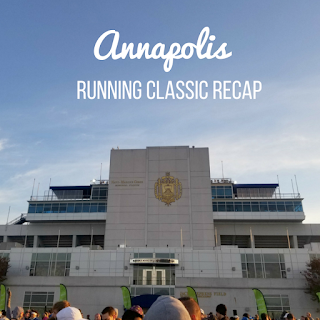 The race started at 7:30 am at the Navy Memorial Stadium at the U.S. Naval Academy. I was surprised to see how small the race was and lined up around the 2:15 pacer. I wasn't actually going for time but I thought that 2:15 was what I could reasonably expect to run. The race started and the first mile of the course was pretty nondescript. The first mile marker came up pretty quickly though. There was a water station and I grabbed a cup and kept running. I wasn't watching my pace but I felt pretty good. I passed the 2:15 pace group pretty early on and thought I'd be happy to stay ahead of them through the race. In the 2nd mile, we went over a pretty small bridge and by the time we crossed it, my knee was feeling pretty sore. I changed up my form a little bit using some PT tricks I had learned a few years ago and kept running. 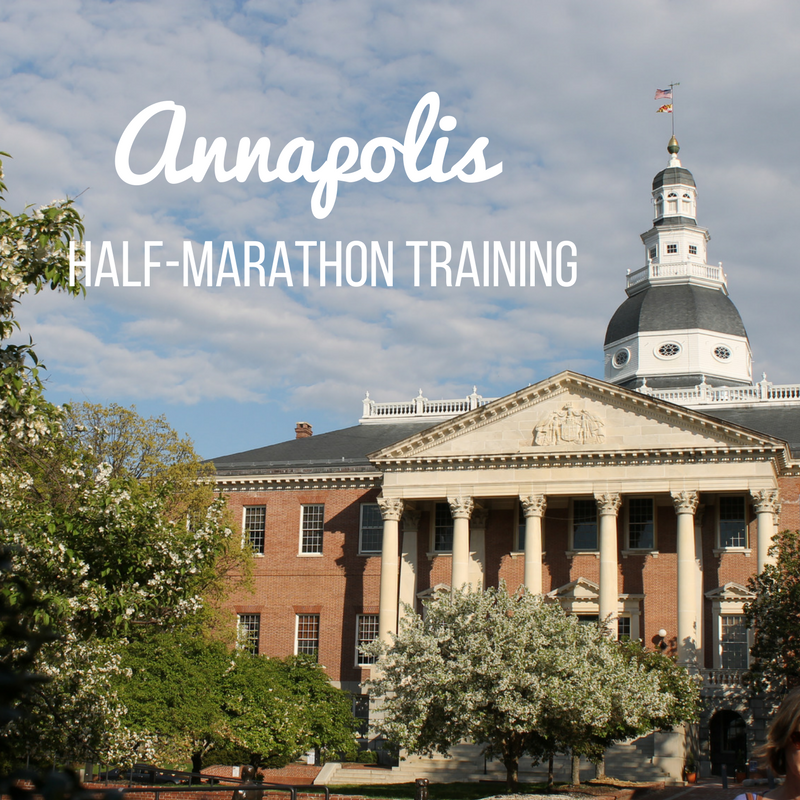 We made it into downtown Annapolis which was really pretty to run through! Right at Mile 3, there was another water station but it only had two volunteers and they didn't have any cups out. I found that pretty frustrating and skipped the station. My knee was still twinging and I started to worry about finishing the distance. At Mile 4, we went over the same bridge we had gone over in the second mile and my knee really started to stiffen up. The more I ran, the more it was locking up. There was another water station but this one only had one volunteer and again - no cups out. I've always had trouble running over bridges because they don't have as much "give" to them as streets and this race was proving to be tough. By the time I hit Mile 5, I knew I was in bad shape. My knee was so stiff and it was really hurting. I hadn't had pain like that all through my training cycle but I definitely had pain like that through the GW Parkway Classic and I had to start walking by Mile 8. I really didn't want to have to walk half of this race, so at Mile 5, I made the decision to drop down to the 10k. The turnaround was at about the 5 1/2 mile marker so it was easy to drop down. As I ran toward Mile 6, I knew I made the right decision. I sprinted through the finish as best as I could but my knee was in bad shape. 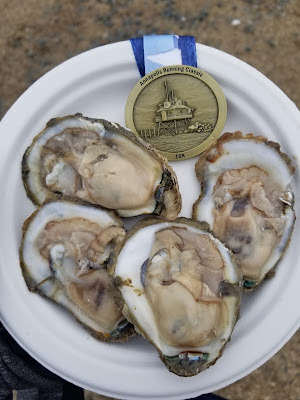 I got my medal for the 10k and stuck around to watch the first half-marathon finisher come through and then made my way to the Runner's Village for some oysters, bagels, bananas, and tomato soup - a post-run feast! I was pretty disappointed with this course overall - water stations with minimal volunteers and no water? It was a cold day out but that wasn't ok in my book! The finish line festival made up for it but I'm not sure if I would return to this course - especially after what happened with my knee. It took about four days for my knee to start to feel better and I went and got a massage this weekend to work things out and that wasn't pleasant. I'm not really sure whether I'm going to do much about this though - I think I'll just work on building glute strength, which I know is the source of all of my IT band issues and hope it works itself out. I already mentioned that I won't be training for any long distances next year so I'm hoping the added yoga and strength I build from that will solve this problem once and for all! Have you ever dropped distances in a race? This Saturday, I'll be toeing the line of the Annapolis Half-Marathon. I'm pretty excited! It's been a while since I've raced and I really miss it. I'm not going into this race as well trained as I would have liked. When I signed up, I knew that I had three straight weeks of travel toward the end of training but I backed up my training schedule enough to be able to get all of my training runs in with the idea of having a long taper. And then I got the flu, which derailed everything. I did manage to get in an 8-mile long run while I was in Seattle but aside from a couple of 3-mile runs in London and since I've been home, that's the only running I've done in the last two weeks. At least I'm well rested? I never had goals for this race. In fact, I needed this race more for the training aspect of it than the finish line. But I'm now realizing that I wish I had been able to train for a PR, or at least a strong finish because I think it will be my last long distance race for a while. I've been thinking a lot about running lately and my goals for next year and I think I want to scale back the long distance running and focus on strength, flexibility, and speed. I've never been a flexible person but lately, it's starting to alarm me just how much flexibility I've lost. For now, though, I'm just going to toe the line, put one foot in front of the other, try not to be too cold, and have fun out there! There will be oysters at the finish line, so that's a pretty good motivation right there! Do you have a fall race coming up? There isn't a day that goes by that I don't think about London. 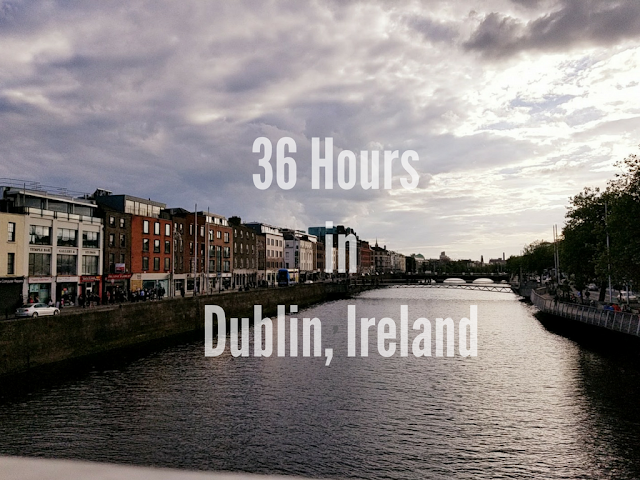 I took my first trip there when I was 16, studied abroad there in college, and have been back a few times but this time, it's been five years since my last visit to London (unless you count the 24 hours I spent there in 2015 on a long layover en route to Lisbon). If cities could be soul mates, London is mine. I love DC and I say that I never want to leave, but I would pack up everything and leave my life in DC behind for a chance to live in London again. Next week, The Pilot and I are headed to the UK because, quite frankly, my heart can't take another day without London in it. I'm so excited for this trip, I can't even explain it. It feels like I'm going home. This will only be The Pilot's second trip to London, so my agenda for this trip is filled with things I want him to see, things he wants to see, and things that somehow I've never gotten around to in all of the time I've spent in London! Camden Market - This is one of my favorite markets in London and The Pilot hasn't been there. Camden is such a cool area of London that I think is a must for anyone to see! Tower of London - I took a tour of the Tower on my first trip to London before I ever read a Philippa Gregory book. Her books are a huge guilty pleasure of mine and I loved The White Queen series! I haven't watched The White Princess yet but I want to go back to the Tower now that I have more of an idea of the history of the Tower! Harry Potter Studio Tour - Obviously. Afternoon Tea - Likely at Claridge's. The Pilot loves drinking tea and we've both gotten a little obsessed with the BBC show "Inside Claridge's." It's the most famous spot in London for afternoon tea and I've never gone, so I think we'll make it happen! Drinks at the Tate Modern and National Portrait Gallery - These are two of my favorite places to get drinks in London. Both have phenomenal views (of the Millennium Bridge and St. Paul's, and Trafalgar Square, respectively) and are great to stop in for a toddie on a cold day! Drinks at Gordon's Wine Bar - It's London's oldest wine bar and it's basically a cave. Sounds like a perfect place for a nightcap! The London Design Museum or the London Tube Museum - Both are fun, eclectic museums that I've never gotten around to checking out! I'd also love to do one of these walks from Notting Hill to the Tower of London. We're staying in Notting Hill so weather permitting, it will be a nice way to get through the city! We only have 5 days in London. If I had it my way, we'd have a month (one day!) and I definitely want this to feel like a vacation, rather than a to-do list, but wandering the markets, drinking tea, and having drinks definitely fit into that relaxing/vacation mode. I don't want to do too much sightseeing because I've done most of that but we really just want to go to London and integrate with the city again, feeling just for a minute like I live there again! 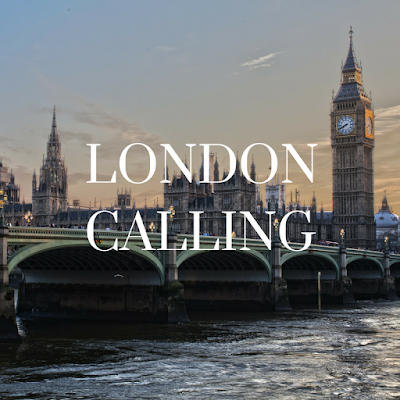 What are your favorite things to do in London? What should we add to this list?